Wouldn’t it be lovely to feel happy and full of vitality every morning when you wake up? It may be unrealistic to feel fantastic every morning but if you’re generally content and happy with your life, then that’s a really good start. However, many people (including those who appear to have ‘perfect’ lives) have to work hard to find daily happiness. The good news is that what you eat and drink on a daily basis has a massive effect on your mood; most people suffering with low mood can really help to improve things with some diet and lifestyle changes. It might not solve everything but it’s a great start! Balancing blood sugar levels is probably the best way to start your pathway to happiness and contentment. If your blood sugar levels are to up and down, it will certainly affect your mood and ultimately, energy levels, a lack of which will also make you feel ‘down-in-the-dumps! The key is to start the day right; this means always eating breakfast containing some protein or slow-releasing energy foods. Eggs cooked anyway you like (except fried), or porridge are the two best breakfast choices. Secondly, drinking too many stimulants such as caffeinated tea and coffee throughout the day can lead to some real highs and lows in your mood, due to the way it affects blood sugar balance. Try to have no more than three cups of tea or coffee daily; instead make sure you’re drinking 1 ½ litres of water daily and substituting with herbal or fruit teas. Additionally, you may not realise it when you’re dancing the night away after a few glasses of wine, but alcohol is actually a depressant! Many people will suffer real lows after a night-out and these effects will be multiplied the more alcohol you drink. Always have some alcohol-free days each week to help balance your mood and also help your liver to recover. In naturopathic medicine, the liver is the organ of mood and anger. A distressed liver will therefore cause you to feel sad and, often, angry. Clearly, alcohol is one to reduce; however, there are certain foods the liver loves! Lemons are a fantastically cleansing fruit; starting the day with a glass of warm lemon juice will really kick-start the liver after it has been busy detoxifying your body all night. Beetroots are not everyone’s favourite, but are certainly one of the liver’s most favoured foods! They’re great in salads, juices and soups. Broccoli, and dare I mention Brussels sprouts, are other great liver-loving foods. They both contain specific compounds that help to neutralise free radicals but also are high in fibre which removes toxins from the body, minimising the liver’s work! Exercise, exercise, exercise! Your body naturally produces feel-good endorphins when you get the blood pumping. You don’t have to suddenly turn into a gym bunny if that’s not your bag, but even a brisk 20 minute walk each day will invigorate and lift your mood. It’s also important to try to grab some fresh air every day; many people sit at their desk all day long and never even leave to eat lunch. Some time away from stress and emails will help refresh your cognitive function but also aid your digestion too! When we’re stressed the body goes into ‘fight-or-flight response and closes down the digestive organs, hence many people have an uncomfortable afternoon after eating at their desk; something else that will also make you feel unhappy and angry. Your ‘happy hormone’ serotonin is predominantly produced in your gut. Therefore, if your digestive system isn’t happy then you can’t expect your brain to be either! One of the keys to keeping your digestion in smooth working order is to make sure your friendly bacteria is in check. High sugar diets, too much stress, prescription medicines and the contraceptive pill all disrupt your good bacteria, meaning that your gut won’t be able to do its job properly and manufacture sufficient serotonin. The omega 3 and omega 6 fats are termed essential because they’re just that! The body cannot make them so they have to be eaten in the diet. The omega 3’s are particularly important for good brain function; many people who have low mood or more serious depressive illnesses are frequently low in omega 3 fatty acids. Oily fish such as salmon, mackerel and sardines, plus nuts, seeds and, in particular, flaxseeds, are great sources. They are so important for your brain, and therefore your mood, that if you’re not eating any of these foods, then you really need to be taking either a fish oil supplement or flax-based product, if you’re vegetarian. Suzie is able to combine early marketing and PR experience with her sound technical knowledge, writing for numerous health magazines and consumer journals, providing expert comment, whilst consulting on regulatory issues within the food supplement industry. Indeed, Suzie is the UK formulator for a number of well-known food supplement brands. She also enjoys delivering inspirational and motivational seminars in the workplace, including working at 10 Downing Street, encouraging positive change and lasting results. 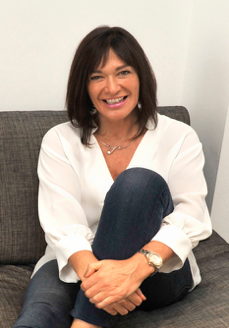 Suzie has worked as a Guest Presenter on QVC television and is a member of the Guild of Health Writers.